Twitter unveiled a new look yesterday, setting itself the goal of becoming consistent across all platforms. And by ubiquitous, Twitter means boosting its 100m active users – who currently tweet 250m times a day – to 7bn. Speaking at LeWeb today, director of platform Ryan Sarver said the focus was on simplicity. One of the main new features for marketers within yesterday’s redesign are customisable brand pages. However Jim Coleman, managing partner at We Are Social, said the new pages were unlikely to have a large impact on brand engagement. Coleman also suggested that the brand pages were likely to be a premium feature for brands that spend money with advertising on Twitter, but the new function probably wouldn’t be enough to tip the balance in terms of a decision on ad spend. In regards to the overall redesign, Coleman said the new look offered substantial improvements to the user experience in its web and mobile interfaces. 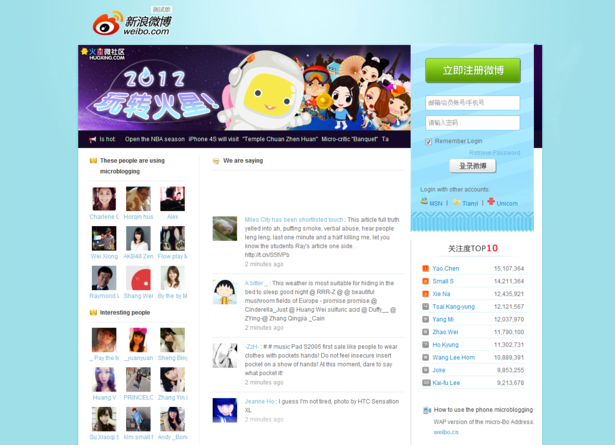 Some of the features have been ‘borrowed’ from Chinese micro-blogging site Sina Weibo, which has almost as many users in China as Twitter does globally. Twitter has also taken inspiration from Google+ with the introduction of its new ‘Made for you’ feature, which is much like the Sparks function on Google+ that aggregates a personalised collection of trending content from across the web.